Shane Roest was born and raised in Lethbridge, AB. He attended the University of Lethbridge, obtained his Bachelor of Management degree in 1996, and shortly after, started his career as a public practice accountant. 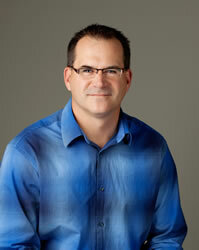 Shane spent ten years working for national accounting firms before he and Brenda Best founded Best Roest & Co. in 2007. Shane’s strengths lie in customer service, dedication, straightforward communication and his ability to relate to the needs of business owners. He has a “hands on” approach to providing practical advice to his clients in various industries, such as construction, food services, trucking, retail, real estate, professionals and agriculture. He enjoys helping his clients solve problems, address potential areas of concern and look for ways to expand and grow their businesses. Shane has been active in the community and enjoys volunteering on local sports association boards – most recently as the Director of Finance for the Lethbridge Minor Hockey Association. Shane is married to Allison and they have three children, Olivia, Erick and Jillian.